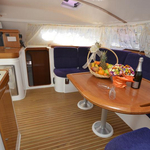 Sailboat Nautitech 40 named Manuela has been built in 2005. 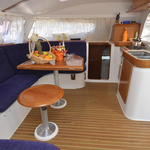 We propose this vessel from marina Dubrovnik in region very close to Dubrovnik. 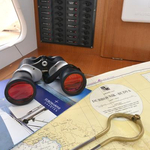 Manuela is certified for 11 persons. 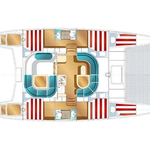 Layout of the boat is 11 (8+2+1). 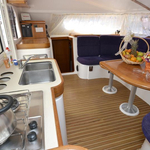 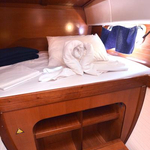 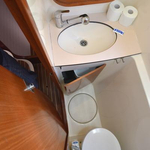 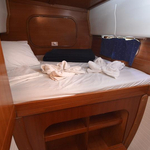 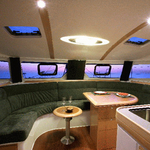 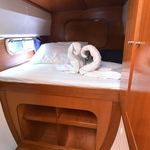 Nautitech 40 Manuela has 6 bedrooms. 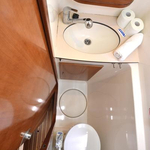 For guests disposal there are 2 heads with showers. 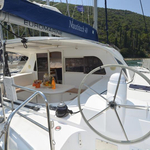 With engine 29 Manuela can move really fast. 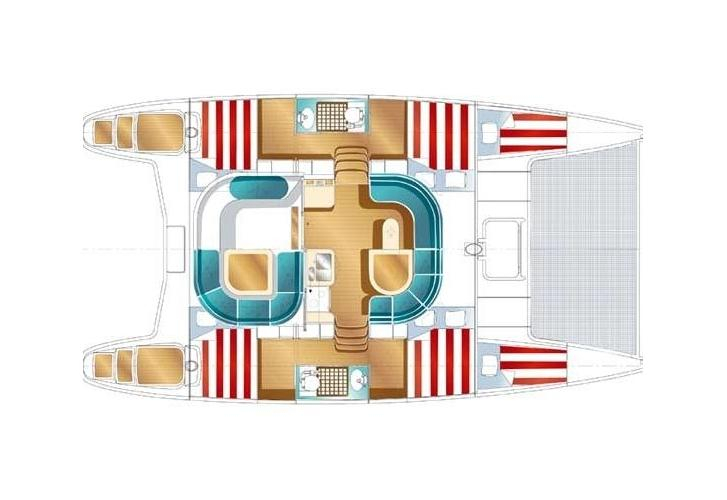 Manuela is 11.98 meters long and 6.50 meters wide. 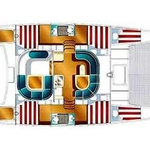 Depth is 1.2 m. Use our website to find more boats by opening this link: Catamarans Dubrovnik. 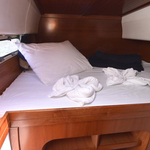 Yacht's equipment includes : Plotter gps in cockpit, Gps plotter, Autopilot, Anchor electric windlass, Dinghy, Radio / cd player, Bed linen, Towels, Mainsail with lazy jack, Classic mainsail, First and last night in marina free of charge. . Nonrefundable deposit accounts for 1800.00 EUR. 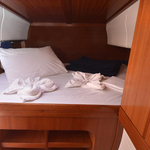 Choose our offer and have good time on the deck of Manuela. 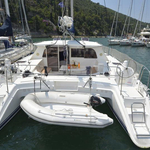 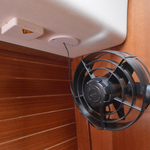 This Nautitech 40 from Dubrovnik from Croatia Click for in section: Catamarans Croatia.